Aries money horoscope 2016 gives you an overview of the coming year in terms of financial income and expense predictions for people born under this zodiac sign. 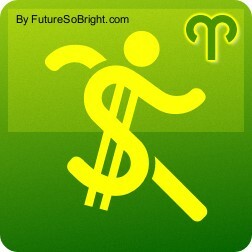 2016 will be a year when the finances for the Aries zodiac sign will be slightly unstable. If you are not able to control your expenditures you’ll rapidly develop a hole in your bank account. It is a time when you need to control your expenses and spend as little as possible. Trouble may follow if you hand out of money over generously. There may be a money shortage at some point during the year so make sure your reserves are appropriate, warns the 2016 finance horoscope. This may not be the time to purchase something expensive for yourself. Should you be interested in real estate you may find a very good purchase near the end of the year. Do ensure that all debts are cleared before the end of 2016.